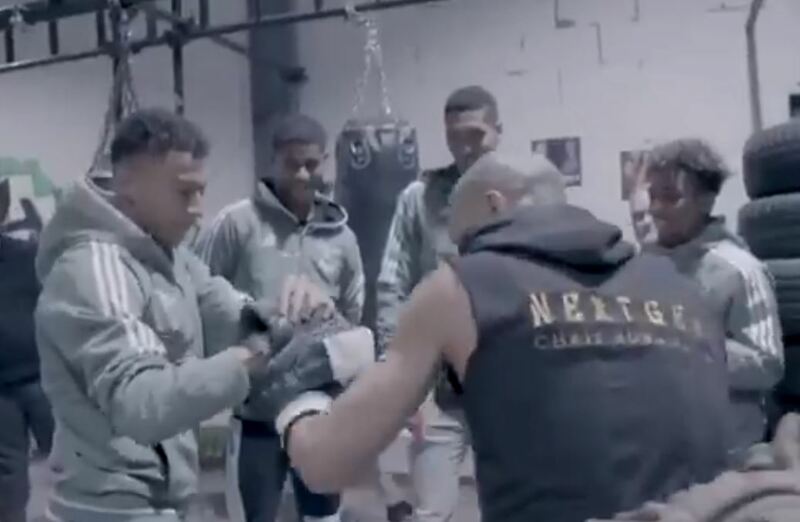 World famous soccer player Jesse Lingard got a taste today of what the punching power of a professional boxer is really like. Up close and personal. Eubank Jr met Lingard and other members of the Manchester United team today as he gets ready for his fight with George Groves on Saturday at the Manchester Arena. Indeed, Eubank looked to have gotten on very well with Manchester United which provided a huge bit of publicity for him and the fight given the global appeal of the world-famous soccer club. Eubank Jr is now in final preparations ahead of a fight that if he were to win it, will propel him to genuine box office status in the UK. However George Groves will of course have other plans. One thing definitely in favour of Eubank is the fact he won’t have to cut much weight at all by tomorrow’s weigh ins. It will be interesting to see how Groves appears on the scales compared to Eubank tomorrow, the man who will need to cut weight out of the two boxers.